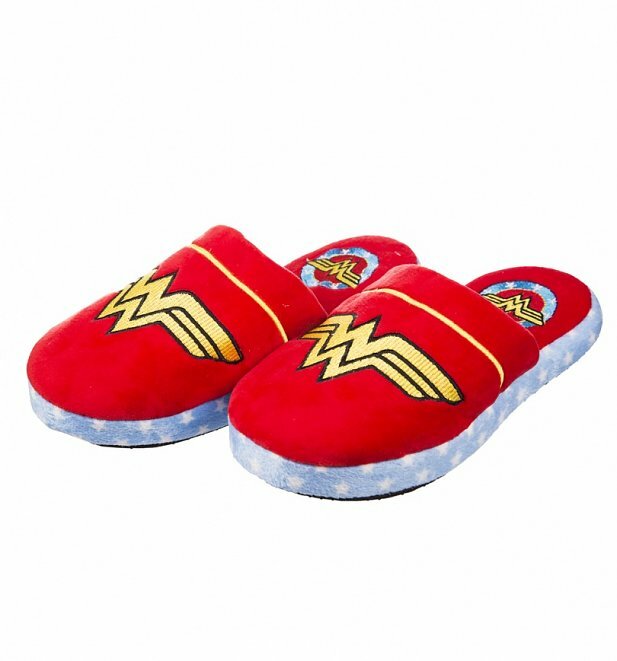 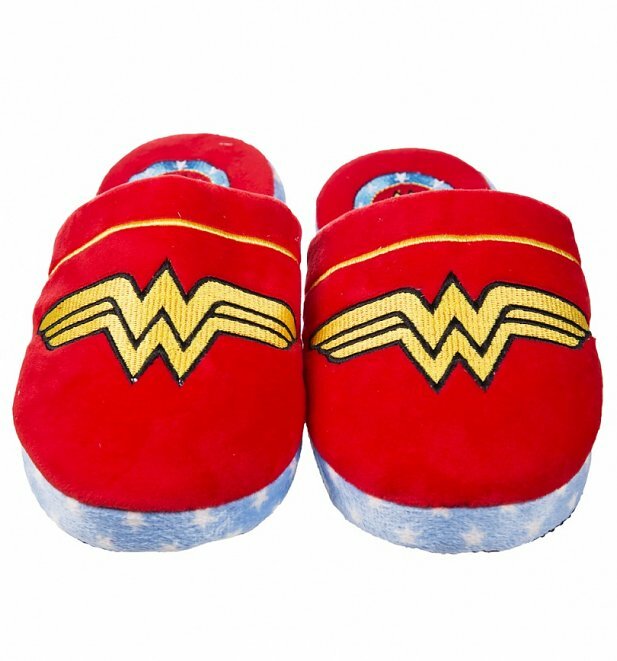 This wonderfully comfortable slippers will have you flying around the house just like Wonder Woman! 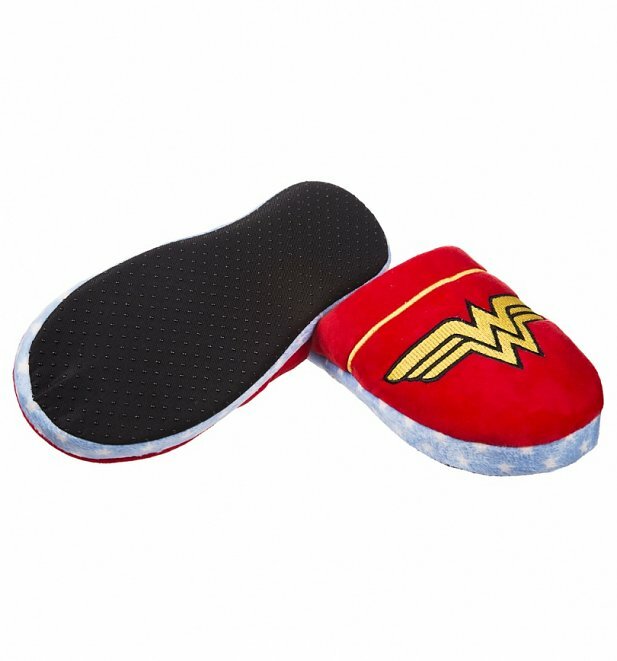 With soft padded soles and the iconic Wonder Woman symbol, these are a real must have for and DC fan! 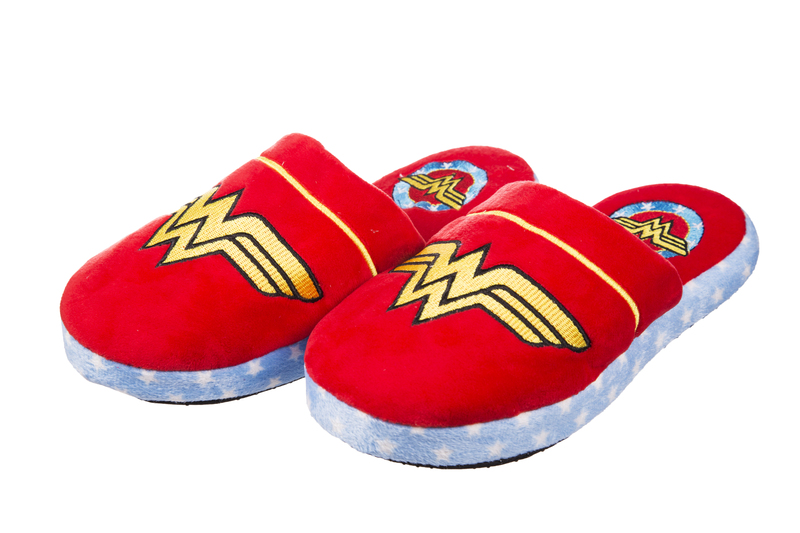 Review: I LOVE MY SLIPPERS.